Partners are departing at a rate of knots from Ince & Co ahead of its proposed Gordon Dadds merger, with a pair of veteran Singapore-based partners the latest set to join Stephenson Harwood. Making the switch is Ince’s managing partner for the Singapore region, John Simpson, and regional finance team head, Martin Brown. Simpson is set to move on 1 May 2019, while Brown will join on 1 November 2018. Stephenson Harwood has taken three partners from Ince this week. Simpson specialises in shipping, energy and international trade and acts for a wide range of clients, including multinational metals and petroleum companies. His major mandates at Ince include advising energy company GlobalORE on revisions to the Standard Iron Ore Trading Agreement (SIOTA), and representing a Singaporean shipyard on a dispute worth tens of millions of dollars. Brown’s departure from Ince follows nearly ten years at the firm. His practice involves advising on cross-border ship finance and off-shore maritime transactional matters. The hires follow Stephenson Harwood announcing yesterday (15 October) it had hired Ince’s global insurance head Joe O’Keeffe. O’Keeffe had spent over 27 years at Ince, advising insurance on coverage issues, casualties and disputed claims. London partner Kiran Soar has been selected to replace O’Keeffe as global insurance head. At Ince, the spate of outgoing partners comes amid surprise merger talks with listed firm Gordon Dadds. In September the two firms confirmed they were in discussions to create the UK’s largest listed law firm, with a combined turnover of around £114m. Rumours had swirled in recent months that Ince was lining up a merger, particularly after revenue fell 6% to £83.4m in the last financial year. 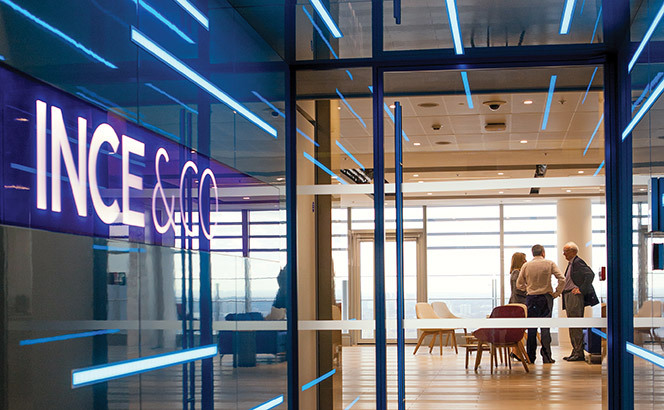 Other setbacks included the stepping down of senior partner Jan Heuvels in August, and the February departure of a four-partner team to sector rival Clyde & Co in Hamburg. In July, Ince made 25 business services staff and seven fee-earners redundant. A Debevoise team, led by disputes partner Kevin Lloyd, took over future Tchenguiz mandates, including a key Commercial Court case later this year. 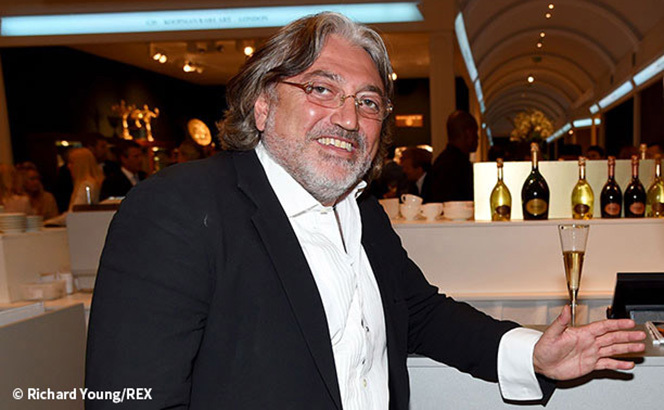 Tchenguiz had only drafted in Stephenson Harwood in 2014 to replace Shearman & Sterling in his later-settled case against the Serious Fraud Office (SFO). Stephenson Harwood has recorded a 6% rise in revenues to £189m but suffered a consecutive year of falling profit per equity partner (PEP), down 6% to £664,000. The results are less polarised than last year, where revenue grew 11% but PEP fell by 9%. While this year’s results are mixed on a like-for-like basis, Stephenson Harwood has sustained above-trend growth over a five year stretch: In 2012/13 the firm’s turnover was at £112.3m, meaning it has grown by 68% on a five-year view. Over the same period, PEP has grown 47%. White also said the firm’s corporate, employment and pensions and marine and international trade departments had particularly strong years. Stephenson Harwood won the coveted Corporate Team of the Year accolade at the 2018 Legal Business Awards. Overall, the result is a positive step towards the firm’s stated ambition to reach a turnover of £200m by the year 2021. Stephenson Harwood joins Simmons & Simmons and Ashurst in releasing 2017/18 financial results this week. 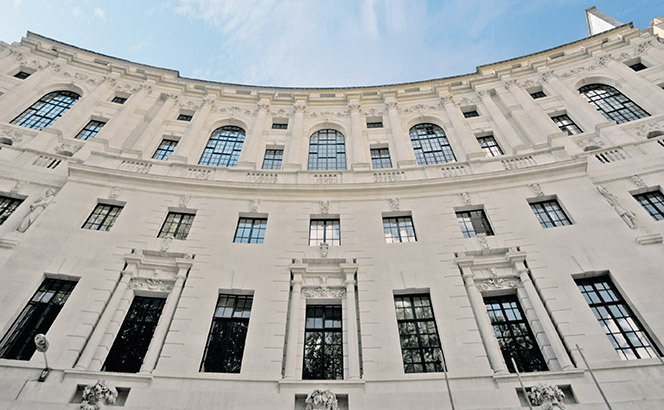 Simmons recorded a 12% hike in revenues to hit £354m while Ashurst posted a modest 4% uptick in turnover accompanied by a stronger 11% PEP growth. Fieldfisher, Kirkland & Ellis and Stephenson Harwood were the big winners at the 2018 Legal Business Awards in front of more than 900 people last night (18 April), as Allen & Overy’s deal star Denise Gibson was recognised as Lawyer of the Year and BT’s Dan Fitz GC of the Year. 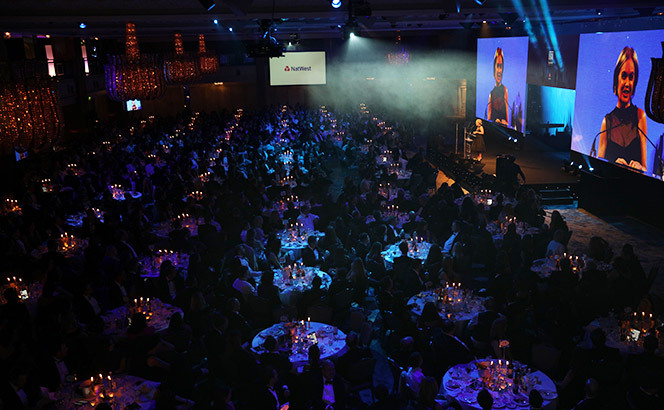 Hosted by journalist, writer and television presenter Mariella Frostrup, the ceremony saw Fieldfisher crowned Law Firm of the Year after an impressive 36% revenue growth to £165m in 2016/17 – the largest rise of any law firm in the Legal Business 100 table last year. 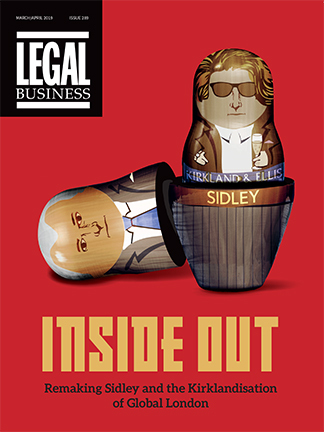 The firm scooping the most prestigious award of the night underlines the work of managing partner Michael Chissick and senior partner Matthew Lohn in turning around a firm which only in 2012 was near-crisis (as described in our recent cover feature Reversal of Fortunes . It was a big night for Kirkland too. The world’s highest-grossing firm secured two of the most sought-after awards, Private Equity Team of the Year and US Law Firm of the Year. Matthew Elliott, Neel Sachdev, Steven Lucas, David Holdsworth and Stuart Boyd were joined by recent high-profile lateral hire David Higgins on stage when they picked up their second award. Stephenson Harwood also picked up two awards on the night – Private Client Team of the Year, and one of the most coveted awards – Corporate Team of the Year – for its role advising Lavendon Group in its takeover by Loxam. A&O’s banking star Denise Gibson, who featured prominently in our cover feature Alphas this year about the leading female deal talent, was crowned Lawyer of the Year. Meanwhile, Glen Atchison’s decade at the helm of successful West End practice Harbottle & Lewis secured him Management Partner of the Year. In other practice awards, Norton Rose Fulbright scooped Finance Team of the Year for the pro bono work of the team led by chair-elect Farmida Bi advising the International Committee of the Red Cross on the development of the Humanitarian Impact Bond, a funding mechanism to encourage social investment from the private sector. On the contentious side, Charles Russell Speechlys was named International Arbitration Team of the Year for Patrick Gearon’s team work in defending a Qatari telecoms provider against a $660m claim brought by a Saudi Arabian multinational. Wedlake Bell won Commercial Litigation Team of the year for advising Kenyan opposition leader Raila Odinga as he challenged the outcome of the 2017’s presidential election, which brought to Kenya’s Supreme Court annulling the election results. DLA Piper was named Real Estate Team of the Year for its use of tech in advising Oval Real Estate in its acquisition of the Custard Factory and Fazeley Studios in Birmingham. The team closed the deal just over a month after the terms had been agreed by using automated contract review system Kira. Two separate awards recognised the growing importance of tech. Legal Innovator of the Year went to F-Lex, a platform that connects firms and in-house lawyers with pre-vetted paralegals. Squire Patton Boggs brought home Legal Technology Team of the Year for developing Global Edge, an app portal providing employment advice across 32 jurisdictions. In-house lawyers had their chance to shine too. BT’s Dan Fitz was the first winner of the newly-established GC of the Year prize, while Kendra James at the FT won Rising Star In-House Counsel of the Year. In-House Team of the Year went to The Carlyle Group. The awards ceremony was preceded by a reception to mark the launch of this year’s GC Powerlist report, featuring the top 50 in-house teams in the country. Irish leader William Fry scooped International Law Firm of the Year after advising on Linde’s $70bn merger with Praxair, the largest deal in Europe in 2017. The winners were selected by an external judging panel comprising: Nilema Bhakta-Jones, group legal director of Ascential Group; Kate Cheetham, group general counsel, Lloyds Banking Group; Kirsty Cooper, group general counsel and company secretary, Aviva; Simon Croxford, general counsel – group centre legal, Barclays; Maaike de Bie, general counsel, Royal Mail; Claire Debney, chief of staff and director of legal strategy, Shire; Dan Guildford, general counsel, FT; Rachel Jacobs, group general counsel, Springer Nature; Rosemary Martin, group general counsel and company secretary, Vodafone; Nigel Paterson, general counsel and company secretary, Dixons Carphone; Nayeem Syed, assistant general counsel, Thomson Reuters; Ned Staple, general counsel and company secretary, ZPG; Liz Tanner, director of legal services, SSE; Geoffrey Timms, group general counsel and company secretary, Legal & General; Clare Wardle, general counsel and company secretary, Coca-Cola European Partners. The panel also included Legal Business managing editor Mark McAteer and editor-in-chief Alex Novarese. Our May edition will include a full report of the night. For more details on the awards, click here . Herbert Smith Freehills‘ (HSF) qualified trainee retention score has dipped to 80% while City-headquartered firm Stephenson Harwood recorded a significant increase in its autumn 2017 trainee retention rates for this autumn. At the same time last year, in contrast, HSF retained 94% of its autumn qualifying trainees. The firm offered 28 out of 35 final-year trainees a qualified role this autumn, which all 28 accepted. Four of those NQs will be based overseas, two in Paris, one in Singapore and one in Dubai. HSF training principal and dispute resolution partner James Baily said: ‘We are very pleased that four of our London trainees in this round are qualifying into overseas offices, which demonstrates the global opportunities that are available for our trainee solicitors. 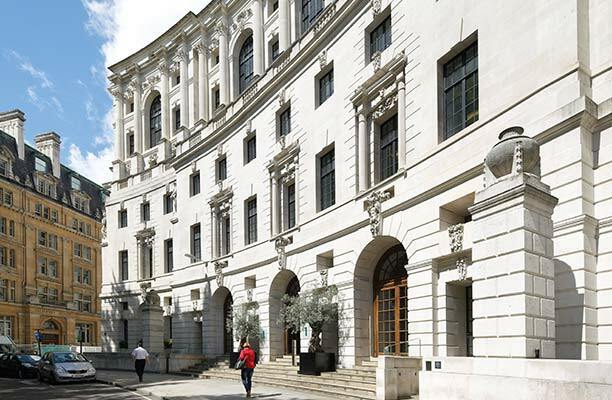 Meanwhile, nine out of City-headquartered firm Stephenson Harwood’s ten (90%) qualifying trainees have been offered and accepted positions at its London office, marking an improvement over last autumn when 77% of trainees were retained. The shipping and insurance-focused international firm said newly-qualified lawyers (NQs) will take up roles in the firm’s corporate, marine and international trade, commercial litigation and finance practices. Noble also stated that commercial litigation was the main practice area at the firm that was in need of added depth. Stephenson Harwood posted a mixed financial year, with revenues up 11% to £176m but profit per equity partner falling 9% to £708,000. HSF similarly reported unusual results 2016/17, as its revenue grew also by 11% to £920.5m but profit per equity partner fell 3% to £760,000. In comparison, autumn trainee retention rates at Trowers & Hamlinswere 70%, while Withers kept 73% of its final-year group. Stephenson Harwood has posted another year of growth with revenues up 11% to £176m. The firm, however, saw a drop of 9% in its profits per equity partner (PEP), the number dipping to £708,000, partly due to the effect of the Brexit vote last June. The firm’s revenues jumped by £18,000 this financial year from last year’s £158m figure, a 9% increase on the previous year. PEP also grew during the 2015/16 financial year by 1% to £774,000, an £11,000 leap. In 2014/15 firm, the firm’s revenues increased by an impressive 20%. Although those figures were boosted by fees from several multi-year matters, the firm said that even discounting those payments it still achieved an underlying 16% growth rate. ‘In the autumn we saw some of those deals come back on track as well as new activity. We’ve ended up having strong performances in all of our practice groups and all of our offices,’ she said. The firm has invested over the last five years, when it grew 50% in revenue terms. ‘Our PEP figure this year is still strong and compares well to our peer firms,’ White said. ‘If you look at our PEP figures over the last few years in 2013/14 we were just over the $500,000 mark. We had big leaps up in the coming two financial years. We always regarded those fabulous years with the knowledge that we may not be able to sustain quite so heavy heights,’ she added. The firm recruited three King & Wood Mallesons partners in the wake of its European collapse earlier this year, including former UK private equity co-head Jonathan Pittal. Private equity partners Warren Allan and Gabriel Boghossian also joined the firm, bringing experience advising clients such as Bowmark Capital, Lloyds Banking Group, Unicredit Bank AG, Risk Capital Partners, Core Capital, SL Capital Partners, Pantheon Ventures, Lexington Capital Partners, Temasek, Goldman Sachs Vintage Fund, Oak Hill Capital Partners and Unigestion SA. Separately, three lawyers were promoted to partner in the firm’s reduced promotion round this year, including commercial litigation lawyers Donna Newman, Sophie Schultz and finance lawyer George Vaughton in the firm’s London office. Stephenson Harwood also made up one local finance partner, Elton Chan, to the firm’s Hong Kong office. Its largest ever nine partner intake took place in 2016. This March, the firm also re-appointed its management team. 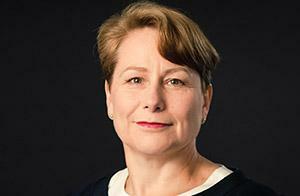 Stephenson Harwood’s supervisory council extended White’s existing term for a further two years, her original three-year term was due to expire this September. 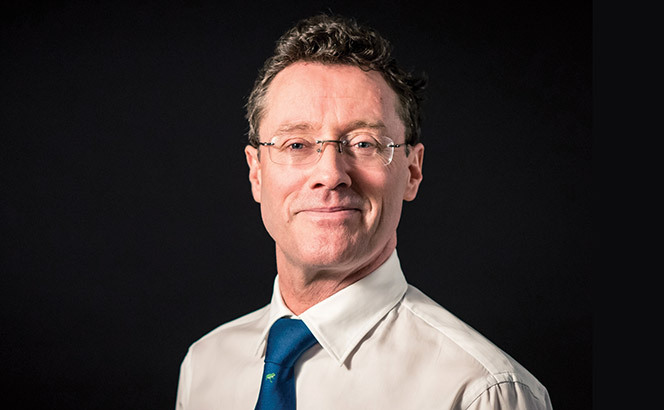 Senior partner Roland Foord was elected for a second term. He will continue in the role for a further three years, reduced from the previous five-year term. Stephenson Harwood has promoted three to partner in a reduced round following last year’s largest ever nine partner intake, while TLT has increased its promotions with six making partner. Alongside the three, the firm has also made up one to local partner. Commercial litigation lawyers Donna Newman, Sophie Schultz and finance lawyer George Vaughton have been promoted in the firm’s London office while finance lawyer Elton Chan will become a local partner in the firm’s Hong Kong office. In 2016 Stephenson Harwood promoted nine lawyers across its London, Paris, Hong Kong, Piraeus and Dubai offices, with three finance partners and two corporate partners making up five of the nine promotions. The firm also appointed two marine and international trade local partners in their Hong Kong office. In 2015 the firm had promoted five, all in London. Meanwhile, TLT has promoted seven associates and one legal director to partner. Litigation lawyer Matthew Forrest, employment lawyer Siobhan Fitzgerald, commercial lawyers Dan Read and Patrick Sweeney, real estate lawyers Matthew Grimwood and Patrick Sheehan, corporate lawyer Antonia Silvestri and commercial dispute resolution lawyer Victoria Mabbett will all become partners on 1 May. Five of TLT’s promotions are based in the firm’s Bristol office with two in Manchester and one in London. The firm has also promoted four real estate associates to legal director. TLT made up six lawyers to partner last year, bringing the firm’s total partner headcount to over 100 for the first time. The promotions were in the firm’s commercial services, and banking and lender services groups, with lawyers based in Belfast, Bristol, London and Manchester.